Hey HAMAfaithful! Today I’m (this is Events Director Adam here) gonna talk about one of the guests we have coming that I’M most personally excited for. 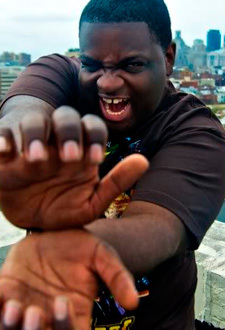 MegaRan, Random, however you know him, he has forged an amazing career, still going strong! His music has been featured in TV and in movies. His music has roots in the video games we have all grown up loving, but it’s also not defined or limited by it. This guy is THE coolest, and we are proud to have MegaRan at HAMACON5! Go listen to some of his music at http://megaranmusic.com/! Get hype! And of course can always check out all our amazing guests for HAMA5 by hitting up our Guests Page! Then after that, you want to prereg? We can help you with that! What, you also need a hotel room? We can help you with that as well! We are very helpful. ← HAMA5 is looking for Maids & Butlers to help serve at our cafe!